Enhancing progress to prevent & combat, financing of terrorism, will limit and weaken terrorists to continue and expand their reign of terror and destruction worldwide. We welcome this meeting to reinforce the collective efforts of the UN and all member states, to create a greater awareness on minimizing the methods in which terrorists finance their activities. Afghanistan’s approach to counter-terrorism is a comprehensive one. As the prime victim of terrorisme fight various terrorist groups in the battlefield, including FTFs coming from outside and we have also implemented measures to strengthen the national legislation to meet provisions of various treaties, conventions and UN resolutions, – including this Council’s, to combat terrorist financing. Preventing financing of terrorism is an important part of our national counter-terrorism strategy. Our National Security Council is leading the inter agency efforts to implement the strategy. We have established a Task-Force, which is comprised of the Attorney General’s Office, Ministry of Finance, the National Directorate of Security (NDS) and FinTRACA. Its mandate is to ensure the implementation of legal frameworks to prevent money laundering, and any other un-regulated currency flow that helps terrorists to finance their activities. Progress in this area has led to our compliance with international standards. 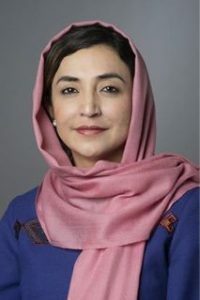 This was recognized by the Financial Action Task Force (FATF), which removed Afghanistan from its compliance watch-list. In the broader context, our efforts are also in line with commitments under the International Convention on Suppression of Acts of Terrorism and the UN Convention Against Corruption. We are also engaged in efforts to disrupt the links between terrorism and organized crimes. Afghanistan has long been engaged in fight against narcotics, with a special focus to prevent the Taliban and other affiliate groups, from the illicit drug proceeds. Under our national counter narcotic strategy, we are taking actions across multiple fronts such as eradication; public awareness and alternative livelihoods. Last year alone, approximately 3,000 operations were conducted. From which, close to 3,500 individuals, including foreign nationals, were apprehended and prosecuted. Similarly, drug-processing laboratories and storage facilities were destroyed through joint military operations. This has disrupted the Taliban’s ability to benefit from narcotics revenue. In addition, we have also confiscated more than 200 tons of illicit drugs in the course of one year. We have improved the security at national airports and border-crossings to detect, deter and prevent trafficking. This shows our strong commitment to root-out the illicit drug economy, and address the linkages between terrorism financing and narcotics. These measures led to decrease drug production last year, as reflected in UNODC’s most recent Survey as well. The problem of narcotics in Afghanistan must be seen in the context of a complex issue. We must recognize that only a robust and comprehensive effort, with international and regional partners – entailing all components of the problem: production; trafficking and consumption – can achieve the shared objective, which is completely eliminating the narco production and trade. To ensure our success, we call for a more cohesive & unified regional approach. Especially our immediate neighbors can play an effective & strong role to confront the nexus of transnational criminal activities. 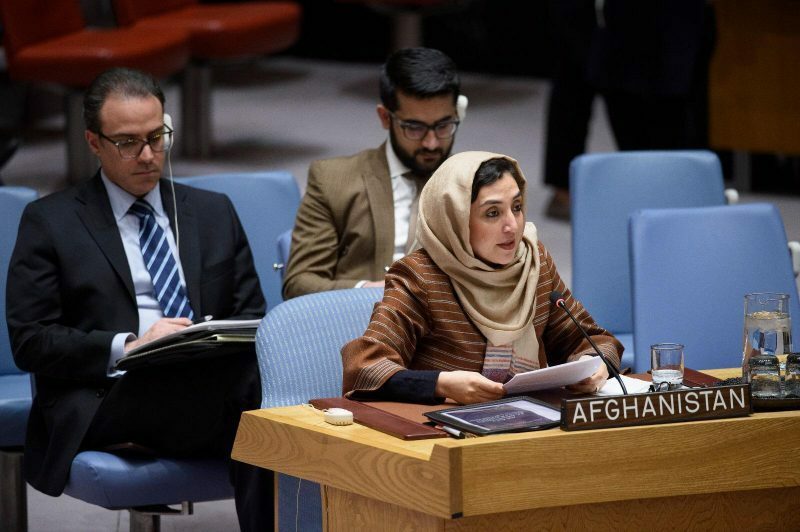 The inflow of resources that finance and support the terrorist activities, such as trafficking of weapons and chemical precursors do arrive from outside of Afghanistan, and that is where we need to have a regional comprehensive approach in combating this menace. 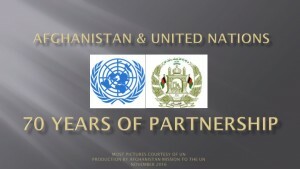 The Security Council sanctions regimes of the 1988 and 1989 Committees were established with a purpose. However, experiences have shown that sanction measures, including the asset freeze of individuals on the consolidated lists, are often lax and not enforced properly. We believe the effective implementation of these measures will pressure the terrorist groups and it will limit their activities. New listings for individuals, including those involved in the drug trade, as well as wealthy sponsors, providing financial contributions to the Taliban & other affiliate groups, are necessary. The sanctions regimes must be thoroughly enforced in full, with cooperation of all concerned States. In this regard, we appreciate the important work being done by the Monitoring Team of the 1988 and 1267 Sanctions Regimes. We have enhanced our collaboration with UN entities, even further, including the UN Counter-Terrorism Executive Directorate (CTED). In January 2017, during CTED’s visit to Afghanistan new areas of collaboration were identified. Together with international partners, we look forward to the implementation of recommendations of the visit report. To conclude, we welcome the adoption of today’s resolution and reaffirm our full support for all international efforts to end the dangerous link between all forms of organized criminal activities with terrorism, including the financing of terrorism. Afghanistan remains a committed partner in this imperative, and its efforts & genuine fight against global terrorism need to be recognized. We are committed to fight for the sake of security and stability in our country, in our region and beyond. Thank you.